The new Acronis Data Cloud 7.8 brings simple integration with public cloud services, easy backup of Microsoft Office 365 workloads, and enhanced disaster recovery orchestration. Peter French, Synapsys Systems MD. Acronis, a global leader in cyber protection and hybrid cloud solutions, currently celebrating its 15-year anniversary, today announced a major update to the Acronis Data Cloud platform. The Acronis Data Cloud 7.8 update introduces complete cloud-to-cloud Microsoft Office 365 protection, disaster recovery orchestration, enhanced ransomware protection, and a blockchain-powered data notarization and e-signature solution for service providers. Among service providers, Acronis Data Cloud is already known for supporting native integration with the most popular hosting automation platforms, Professional Services Automation (PSA) systems, and Remote Monitoring and Management (RMM) tools, and offers comprehensive service monitoring and reporting. The platform enables service providers to easily take the new services to the market through their existing client management infrastructure. With today's update, Acronis also incorporates the previously announced integration with Google Cloud and Microsoft Azure CloudServices, which follows Acronis's strategy to protect all data, applications and systems, while giving users complete control and flexibility over their protected data. Through this native integration, service providers will be able to send backups to Google Cloud Storage and Microsoft Azure Storage without requiring complicated configurations or agreement processing. Managed service providers (MSPs) will be able to leverage Google and Azure data centres with just a click under their existing Acronis contract. The integration will improve the ability of partners and customers to choose the storage and provider they prefer, while simplifying contract maintenance for smaller MSPs. Acronis Data Cloud 7.8 offers multiple services from a single platform. "Everybody needs cyber protection and we make it easy to sell and to use. We listened to our partners' feedback and introduced new features that make it easier for them to meet the needs of their customers," said John Zanni, President of Acronis. Complete Microsoft Office 365 protection. Cloud-to-cloud backup for Exchange Online, OneDrive for Business, and SharePoint Online. Backups are performed directly between Microsoft and one of Acronis's secure cloud data centres. Service providers are able to select the specific country and location of the data centre. With Acronis Backup Cloud, users can also search their backup to find and recover individual files or messages. Disaster recovery orchestration. This release simplifies and automates complex disaster recovery plans with runbooks. The new runbooks feature simplifies and speeds up the failover of multiple machines to a cloud recovery site. It ensures systems are recovered in the correct order to preserve the inter-dependencies of applications on different machines. Acronis Active Protection's enhanced ransomware detection. Acronis Active Protection monitors for malicious activity, stops questionable behaviour, and automatically recovers damaged files. This release introduces improved machine learning technology to better recognise known and unknown threats and reduce false positives. The new version also protects network shares and removable devices. Acronis Notary Cloud. A new service is introduced in this release, adding to the existing Acronis Backup Cloud, Acronis Disaster Recovery Cloud, and Acronis Files Cloud. Acronis Notary Cloud is a blockchain-based service for file notarisation, e-signing and data verification. The service creates a unique digital fingerprint for files and stores it in a public blockchain ledger, enabling independent validation of a file's authenticity and existence at a specified point in time. Physical data shipping. Users can now perform the initial backup seeding faster by saving the first backup to a local hard drive on the customer's premises and then shipping it to an Acronis data centre. The data is fully encrypted to prevent unauthorised access during the transfer. "Actively advancing the positive trend in migration to Acronis Cloud services, Synapsys anticipates a surge in the market as Acronis Data Cloud 7.8 delivers best-of-breed features and value for money. Our service provider partners can look forward to offering their customers multiple cloud-based services from a single installation, with just a few clicks. Acronis's industry leadership is again shown in their commitment to driving innovation in cloud services. 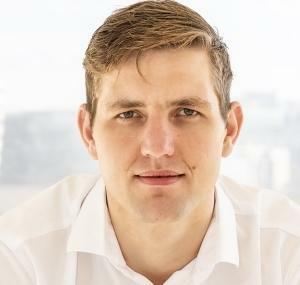 Acronis Data Cloud 7.8 is the right solution at the right time, and Synapsys is driving hard to capitalise on the incredible opportunities this solution opens up for our partners and their customers," said Peter French, Managing Director of Synapsys Systems. With every enhancement, Acronis looks to address the five vectors of cyber protection: safety, accessibility, privacy, authenticity and security (SAPAS), which ensures Acronis Backup Cloud is an easy, efficient, and secure solution suitable for service providers and customers of any size. Today's update is no exception. Customer data is even safer and more accessible with the new Acronis Disaster Recovery Cloud features, cloud-to-cloud protection of Microsoft Office 365 workloads, and integration of the Google Cloud and Microsoft Azure storage options. The addition of Acronis Notary Cloud ensures users can easily verify the authenticity of their data. Plus the enhanced functionality of Acronis Active Protection increases the security of their data, apps and systems. For service providers and users, they also benefit from the ease of use, since all of these capabilities are directed through an intuitive management console, with comprehensive reporting. "There is a great opportunity for services providers to build a business by meeting the demands of the growing cyber protection market. The latest edition of the Acronis Data Cloud platform provides a set of products that providers can use to market their own comprehensive backup, disaster recovery, and ransomware protection solutions," said Phil Goodwin, Research Director, Cloud Data Management and Protection, IDC. This update is accompanied by a range of sales and marketing materials to help service providers earn more by selling more managed data protection services to their new and existing clients. Acronis invites partners to contact their sales representatives to request the latest datasheets, battlecards, and e-mail templates to assist them with the launch. New service providers are encouraged to visit https://www.acronis.com/en-us/cloud/service-provider/platform/ to learn more about the Acronis Data Cloud platform. For more information on how to become an Acronis partner, please visit https://www.acronis.com/en-us/partners/. Founded in 1997, Synapsys Systems is a specialist software distributor. Authorised Acronis distributor since 2003, the company is channel-centric and delivers solutions to thousands of satisfied customers through an extensive network of sub-distributors and resellers in South Africa and across the continent. Acronis sets the standard for cyber protection and hybrid cloud storage through its innovative backup, anti-ransomware, disaster recovery, storage and enterprise file sync and share solutions. 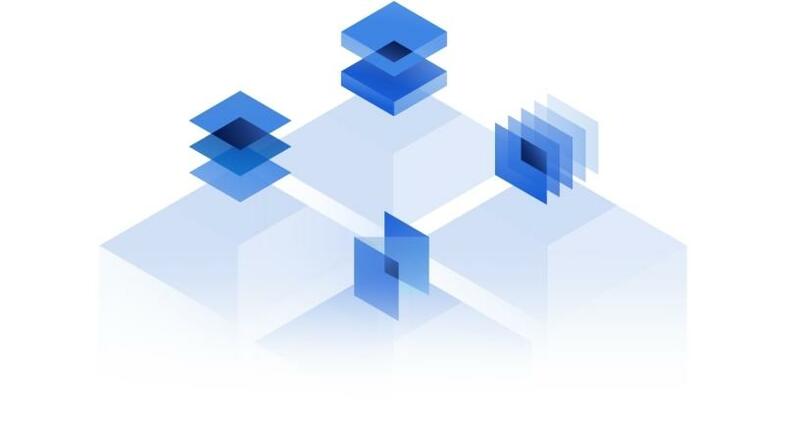 Enhanced by AI-based Active Protection technology, blockchain-based authentication and a unique hybrid-cloud architecture, Acronis protects all data in any environment, including physical, virtual, cloud, mobile workloads and applications. Founded in Singapore in 2003, today the company is trusted by more than 5 million consumers and 500 000 businesses worldwide, including 79 of the top 100 most valuable brands.